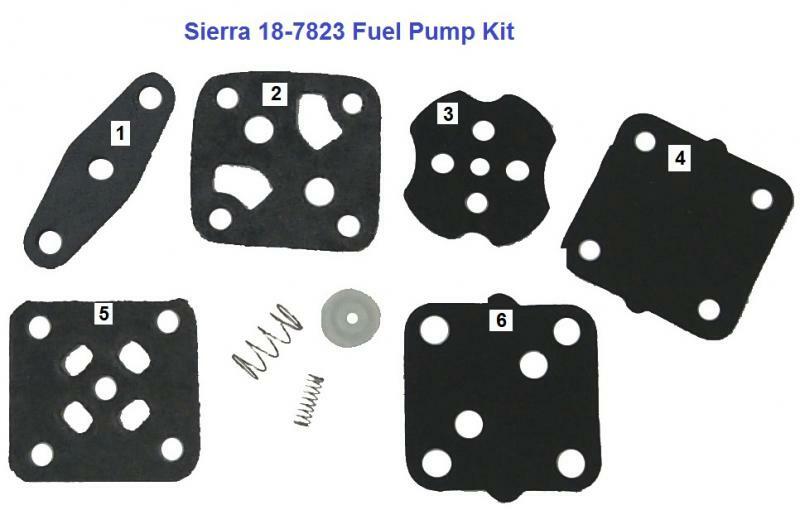 1969 Evinrude 25HP Fuel Pump Kit? 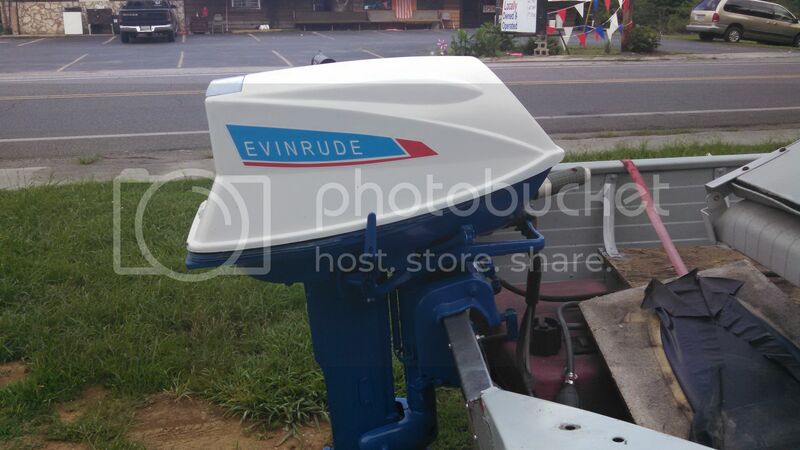 Post subject: 1969 Evinrude 25HP Fuel Pump Kit? So...I need to rebuild my fuel pump. Took it apart to clean it and lost the first gasket (The one with the large round hole) and now it shoots gas. 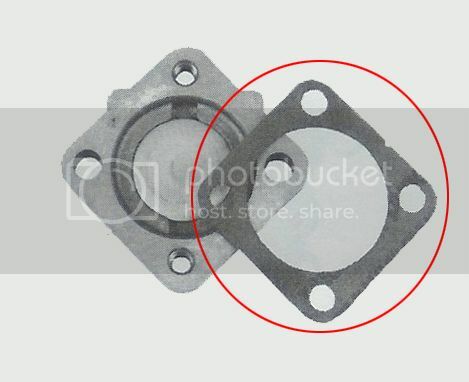 I have found A LOT of kits that look like they would work but all of the gaskets/diaphragms look different than what is in mine. Can someone point me to one that will work or are the ones I found the right one? 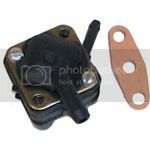 Sorry for the plug to another web site. Last edited by Johnny on 12 Oct 2016, 08:56, edited 1 time in total. ah so, then I would order the kit that you found. it is the most likely candidate to fit your style pump. from this photo, which part are you missing ?? Where is Pappy ???? he does this for a living. how thick was the gasket ? It seems to be just a fiber spacer. if it was like .020" couldn't you cut one out of gasket material ? 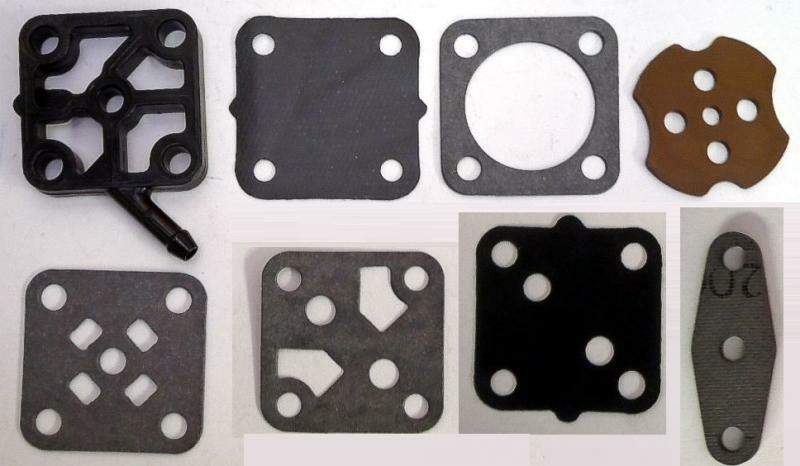 Fel-Pro gasket material, 4 assorted types and thicknesses.